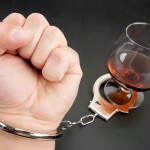 West Virginia: West Virginia substantially increased penalties for serious DUI offenses. Drunk driving that results in a fatality is automatically a felony, even if it’s a driver’s first offense. A drunk driving accident that results in a serious injury is now a felony if the driver has three or more previous DWI offenses. Texas: Texas law now requires every driver convicted of DUI to install an ignition interlock device in their vehicles. Colorado: Prior to this year, Colorado had no felony DWI law, but as of August 5, a fourth or subsequent DUI in Colorado will be charged as a felony. 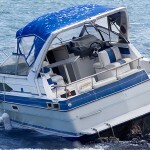 Michigan: Michigan this year lowered the threshold for boating under the influence from a blood alcohol content (BAC) level of 0.10 percent to 0.08 percent, so the boating and driving laws now match. Minnesota: Minnesota will reduce the BAC level that constitutes a gross misdemeanor DWI from 0.20 percent to 0.16 percent, effective in August. Montana: Montana lawmakers doubled the minimum fines for DUI convictions and increased the maximum sentences for some convicted DWI offenders. In southern California, if you’re arrested for DUI, don’t just plead guilty, and don’t try to act as your own attorney. Good DWI lawyers prevail for their clients in a large number of California DUI cases. If you’re charged with DWI in Orange County or anywhere else in southern California, fight the charge with help from an experienced Orange County DUI lawyer, and make the call as quickly as possible.